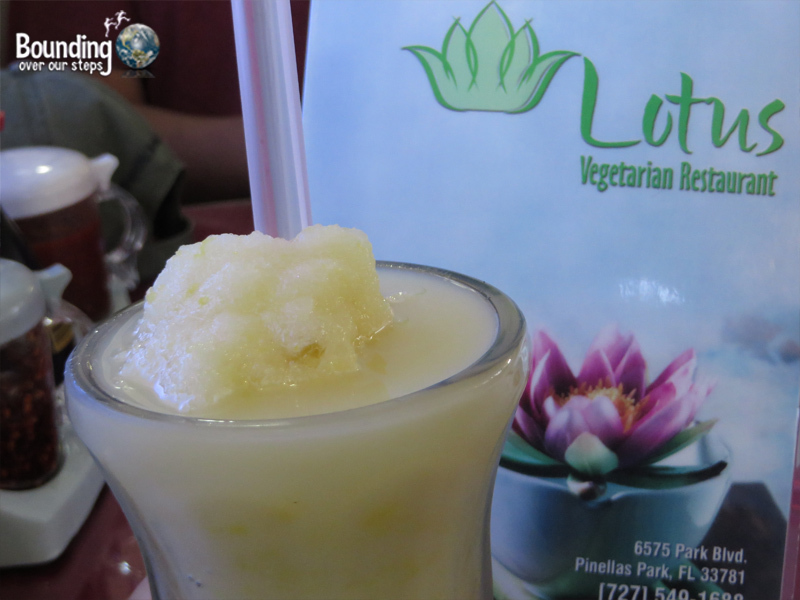 Located at 6575 Park Boulevard Lotus Vegetarian Restaurant is a pleasant surprise in among the many businesses and strip malls along this Pinellas Park busy street. A meal at this eatery is not only a more unique choice than the ubiquitous KFC next door, but it also is the much healthier option. Without having to travel all the way to Southeast Asia, you can let the wonderful flavors of Vietnam come to you by enjoying lunch or dinner at the Lotus Vegetarian Restaurant. The unassuming building that houses the Lotus Vegetarian Restaurant speaks to the humble atmosphere of the location. 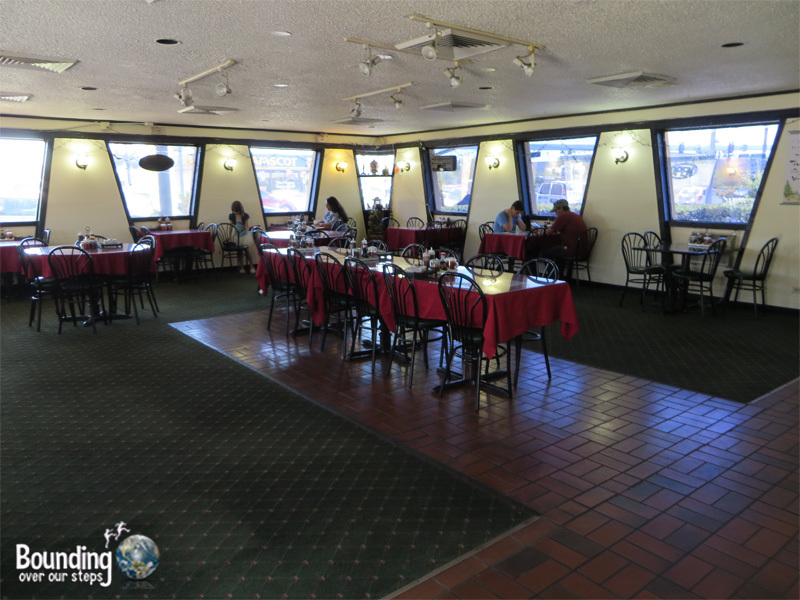 The dining room is large with plenty of space and we were happy to see that many of the tables were filled with customers both times we ate there. 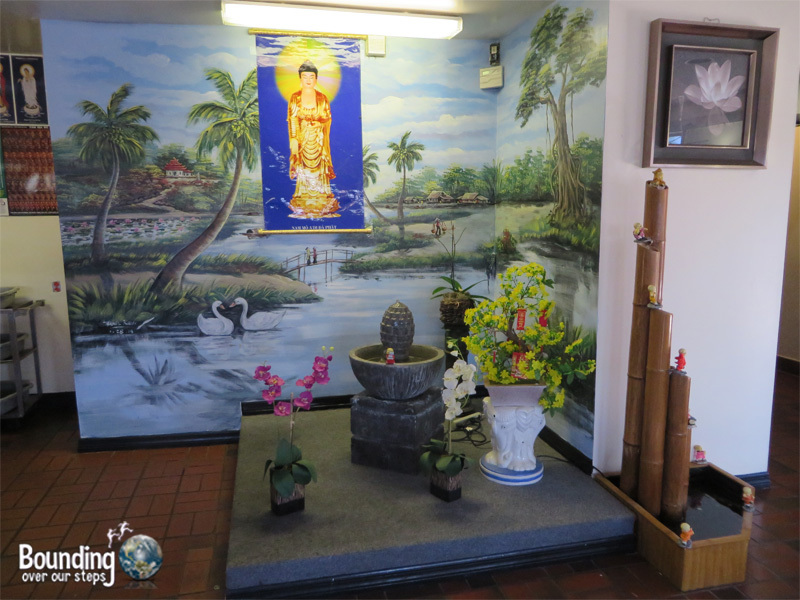 The decor is simple, speaking again to the humility of the establishment, and includes a beautiful mural depicting a rural Vietnamese setting. The menu features a wide variety of options from rolls (spring, summer, fall, winter and fresh), salads, soups, noodle dishes, rice dishes, and sandwiches. In addition, the menu includes a “healthy food” section of the menu which includes an additional ten meals, which mostly include red rice, to choose from. 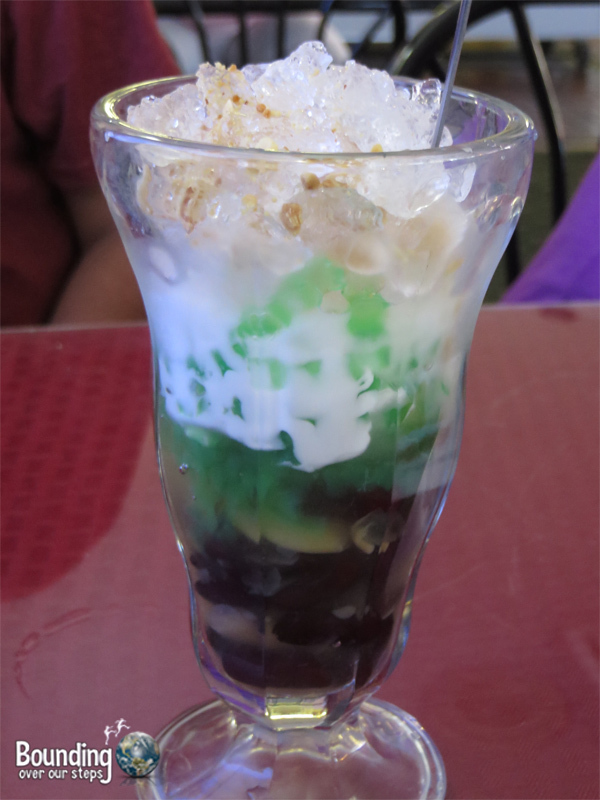 Exotic Southeast Asian desserts, unusual smoothies, like jack fruit, avocado and durian, and a large variety of drinks, such as teas, coffees and sodas are included among the vast menu options. Both soy and almond milk are available. Wanting to try everything, we left the restaurant stuffed. 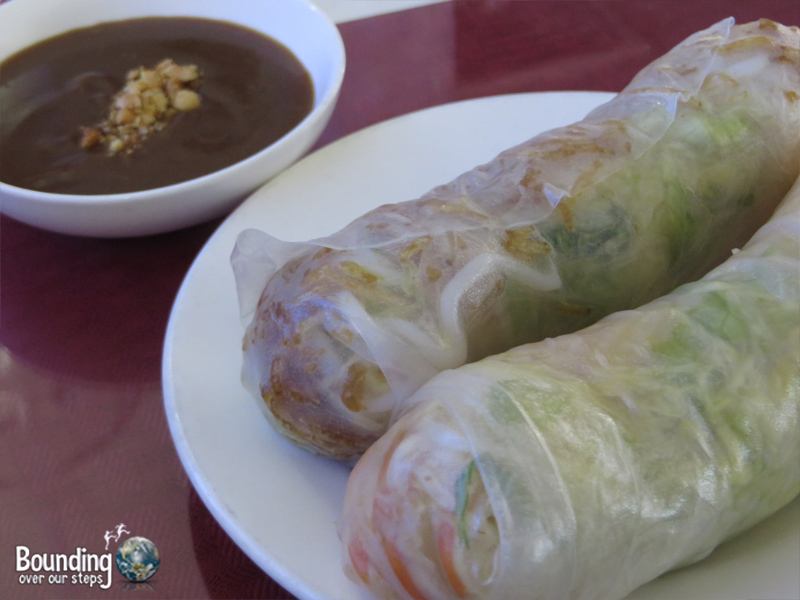 We began our meal with a winter roll, served with a tangy sweet and sour sauce, and a fresh roll, served with a peanut sauce. 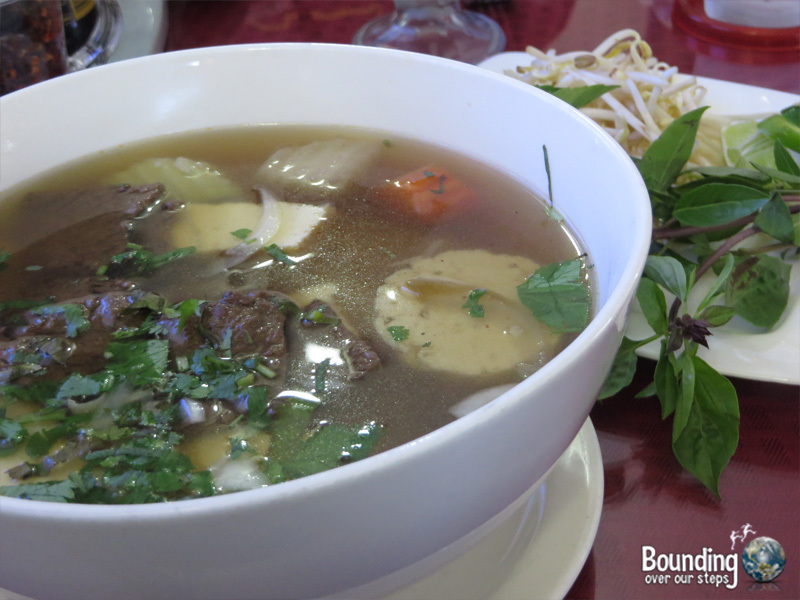 The bold flavors and variety of textures of each whet our appetites for the main course of pho, perhaps the most popular Vietnamese dishes, and yin and yang soup, the latter of which was featured on the healthy menu. We tried a jack fruit smoothie, a mango smoothie and salted lemonade, all of which were tasty in different ways. The jack fruit was earthy and filling, the mango was very sweet and the salted lemonade was the perfect mix of bitter, salty and sweet. For dessert we could not resist trying the three colors pudding, which came in a ice-cream Sunday kind of glass and was a meal in itself. 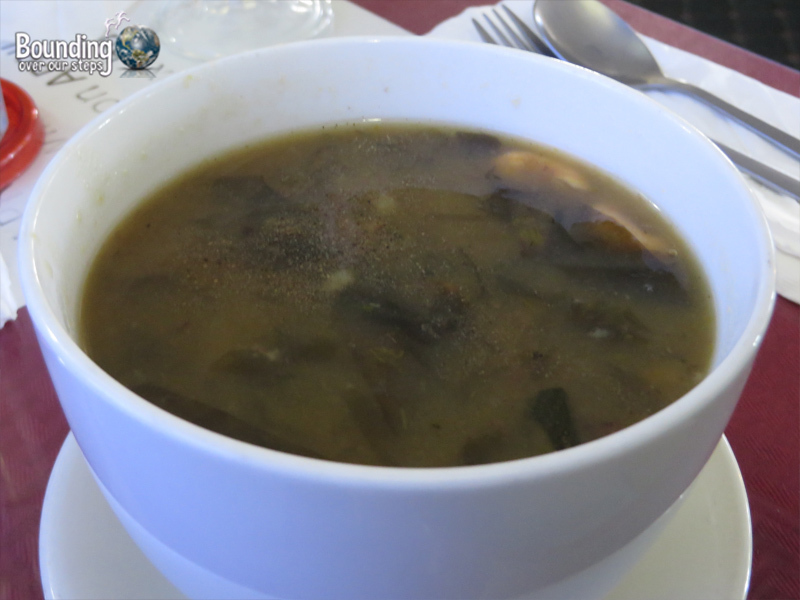 Unlike at some vegetarian restaurants, it was incredibly easy to be vegan at Lotus Vegetarian Restaurant. The vast majority of the menu items are vegan and if you happen to desire the few meals that are not, they can be made vegan. The wait staff is very knowledgeable about both the menu and veganism so there is no need to explain about honey or eggs. Lotus Vegetarian Restaurant also hosts a vegan buffet once a month so be sure to check their website for their schedule. The service is straight-forward and prompt and because the staff is Vietnamese, dishes can easily be explained and recommendations given. With the majority of meals under $10 we found the prices very reasonable, especially given how substantial the servings are. We look forward to our next meal at the Lotus Vegetarian Restaurant.